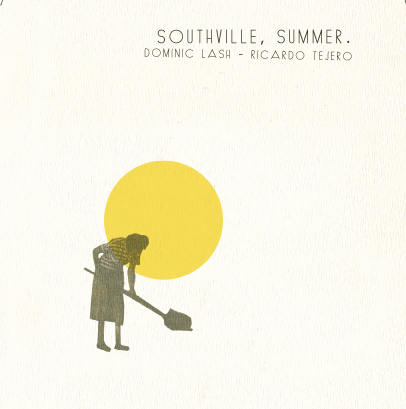 DOMINIC LASH / RICARDO TEJERO - Southville, Summer. Dominic Lash (double bass) and Ricardo Tejero (tenor sax, clarinet and whistles) have been playing together since 2007: first, as a trio with drummers Steve Noble and Mark Sanders and then as a duo since 2008. Both have also played with a variety of other leading improvisers such as Richard Barrett, John Butcher, Evan Parker or William Parker. Playing as a duo affords them the freedom to pursue a wide array of musical interests, ranging from the explosive energy of free jazz to exploring sound textures and more abstract, reductive musical material. The notion that music is essentially nothing other than the expression of a spirit that has something to say is clearly played out in this record. This duo’s experimentation isn’t a lab concoction; it is palpable, shaping the sound space at will, each piece having a unified meaning. Southville, Summer. is their first album as a duo.